The Lockheed WV2 Warning Star is an airborne early-warning radar surveillance aircraft used by the US Navy from 1956 to 1965. Also called the ‘Willie Victor’ by Navy crewmen, the WV-2 is essentially a militarised version Lockheed’s C-69 Constellation airliner fitted with two large radomes, one at the top of the fuselage and a horizontal one of the bottom, and manned by a crew of 18. The WV-2s served in the Navy as part of the ‘barrier force’ for the North American coastlines, providing early detection of long-range Soviet bombers and missiles and early warning against sea-and-land invasion. Several modified Willie Victor aircraft were also used during the Vietnam War to detect enemy troop movements in the Ho Chi Minh Trail. 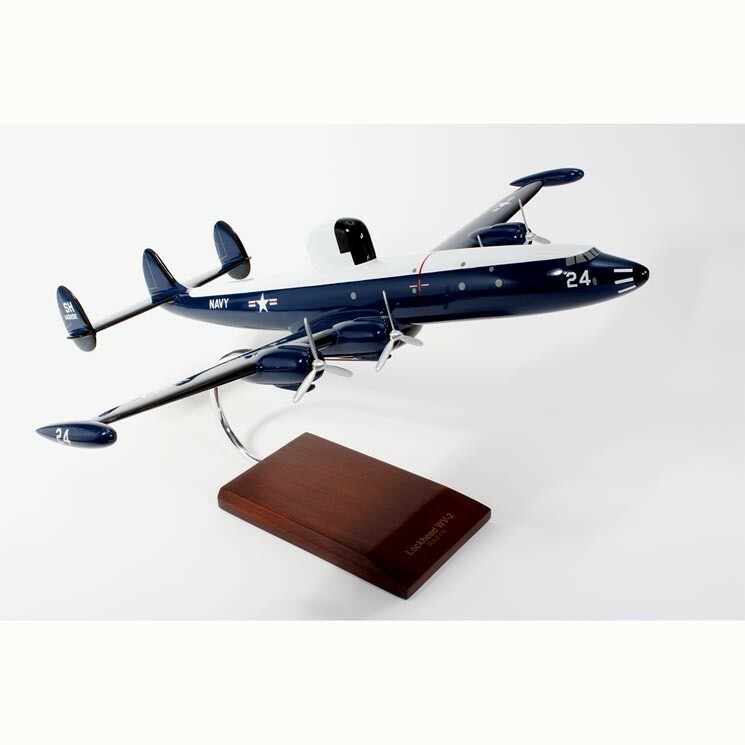 The Navy WV-2 early-warning aircraft played a pivotal role at the height of the Cold War, so for any serious collector this WV-2 Warning Star (Willie Victor) 1/72 scale model aircraft is definitely a must-have. But even if you are just looking for something unique to decorate your living or office space, you can certainly appreciate the degree of craftsmanship put into this model. Each 1/72-scale replica is painstakingly sculpted, sanded and detailed by hand by veteran craftsmen to ensure each wooden model is of exceptional quality. Get yourself one today.